A perfectly shaggy Highland Cow 'Delilah' wearing her best hairstyle for high tea! 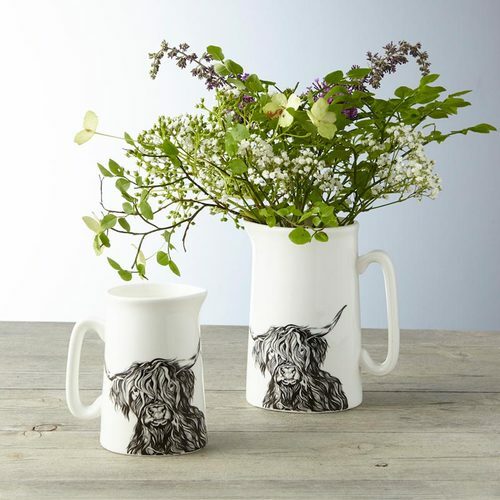 This pint size jug is a lovely addition for a small table, and the half pint is ideal for serving milk with tea and coffee. 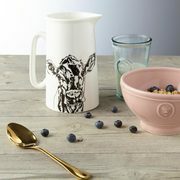 Perfect for posies of country flowers, your milk at tea time or warm custard for Sunday's apple pie! Matching mugs are available! The cherry on top of the cake, they're microwave & dishwasher safe..